NEW! Movetec is now launching a new family of control boxes, the MCB-LC series, with Wifi as standard in all control boxes, and it is possible to order with Bluetooth connectivity and/or a Gyro sensor that stops the system if sudden changes occur, ie. by a collision with something unexpected. 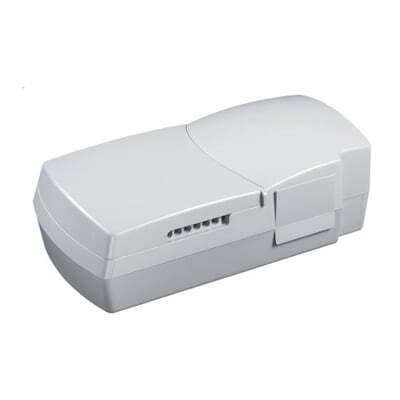 The MCB-LC control boxes can be operated with a small remote control (self-adhesive) that reaches up to 100m. The control boxes can also be operated via an Iphone or Android smartphone with 2 new Android/IOS apps. Up to 32 pieces lifting columns or actuators can be synchronously controlled as additional features! Robust and reliable High-Performance Control Box for 1 or 2 Lifting Columns or Actuators. MCB-COMPACT2 features: flat, optimal design, high efficient switch mode power supply, free programmable software for speed control, plug/connector detection, detection of number of connected lifting columns or actuators, collision detection, configurable Reset- and Stop conditions, cascading of up to 2 control boxes, additional functions are available – depending of type of chosen control panel. 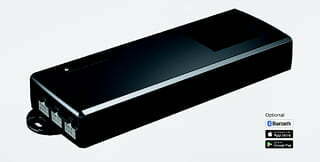 Only 0.3 Watt Standby power consumption (0.1 Watt optional). Plug & Play: MCB-COMPACT2 is a Plug & Play control box, complete with cables, and available with many different control panels, lifting columns or actuators – as a complete lifting column- or actuator set. Option: By selecting a control box with Bluetooth®, lifting columns or actuators are easily controlled through the iPhone® or Android® smartphone. Select the Movetec MCB-COMPACT2 with Bluetooth®. Housing, socket, plug, cable: PC, ABS, PVC, and other plastics. 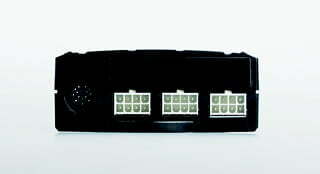 This product is RoHS compliant according to directive 2002/95/EC. Options: 0.1 W low Standby power consumption, additional functions (such as saving positions, adjusting to a position, etc. depending on the execution of the control panel/units) possible, control box cascading. Robust and reliable High-Performance Control Box for 3 Lifting Columns or Actuators. 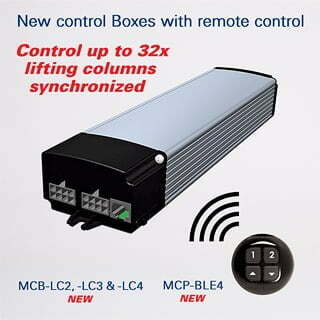 MCB-COMPACT3 features: flat, optimal design, high efficient switch mode power supply, free programmable software for speed control, plug/connector detection, detection of number of connected lifting columns or actuators, collision detection, configurable Reset- and Stop conditions, cascading of up to 4 control boxes, additional functions are available – depending of type of chosen control panel. 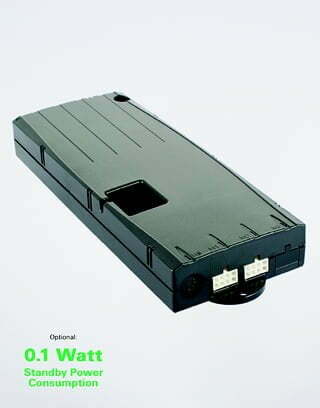 Only 0.3 Watt Standby power consumption (0.1 Watt optional). Plug & Play: MCB-COMPACT3 is a Plug & Play control box, complete with cables, and available with many different control panels, lifting columns or actuators – as a complete lifting column- or actuator set. Option: By selecting a control box with Bluetooth®, lifting columns or actuators are easily controlled through the iPhone® or Android® smartphone. Select the Movetec MCB-COMPACT3 with Bluetooth®. Low Standby Power Consumption, High Performance Control Box for 1 or 2 lifting columns/actuators. MCB-TC15 is specially designed for adjustable desks/workstations, but also very suitable and configured for all industrial and medical applications. MCB-TC15 has a highly efficient SMPS power supply, a flat design, small mounting dimensions, programmable software, synchronous operation/cascading of several control boxes, and also possibilities for special functions, e.g. anti-collision and individual custom software design, offers more complex options for your system/application. Plug & Play: MCB-TC15 is a Plug & Play control box, complete with cables, and available with many different control panels, lifting columns or actuators – as a complete lifting column- or actuator set. Option: By selecting a control box with Bluetooth®, lifting columns or actuators are easily controlled through the iPhone® or Android® smartphone. Select the Movetec MCB-TC15 with Bluetooth®. Housing, socket, plug, cable: PC, ABS, PVC, and other plastics. Options: Additional functions (such as saving positions, adjusting to a position, etc. depending on the execution of the control panel/units). 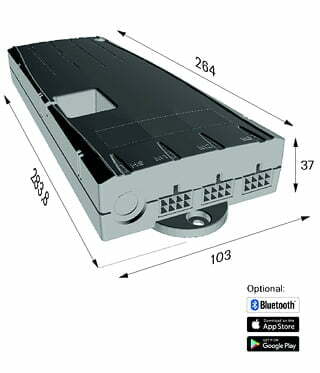 Low Standby Power Consumption, High Performance Control Box for 3 lifting columns/actuators. MCB-TC16 is specially designed for adjustable desks/workstations, but also very suitable and configured for all industrial and medical applications. MCB-TC16 has a highly efficient SMPS power supply, a flat design, small mounting dimensions, programmable software, synchronous operation/cascading of several control boxes, and also possibilities for special functions, e.g. anti-collision and individual custom software design, offers more complex options for your system/application. Plug & Play: MCB-TC16 is a Plug & Play control box, complete with cables, and available with many different control panels, lifting columns or actuators – as a complete lifting column- or actuator set. Option: By selecting a control box with Bluetooth®, lifting columns or actuators are easily controlled through the iPhone® or Android® smartphone. Select the Movetec MCB-TC16 with Bluetooth®. Care motion control box. 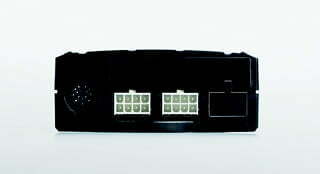 MOVETEC offers a wide range of power supplies providing lower power consumption and higher power efficiency. These compact, long life transformers are available in various voltages and carry a range of agency approvals. 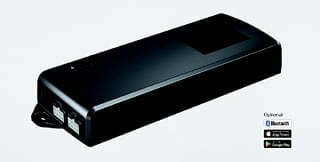 Cord lengths are customizable and a battery backup is available on many of our power supplies.